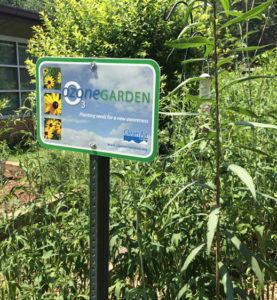 Every spring and fall, Shamrock students work with Clean Air Carolina to monitor our ozone garden. 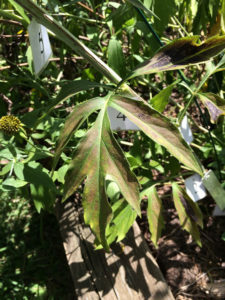 Although ground-level ozone is invisible, the damage that it does to plants during a long, hot summer can be clearly seen. 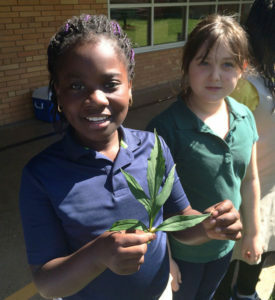 Students observe the fresh green leaves in the spring, and then chart the damage done when they return in the fall. 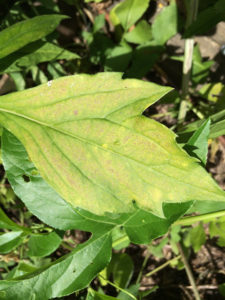 Cutleaf coneflower leaves with ozone damage.